With every pair of work boots, you will need a good pair of quality insoles for the boots. 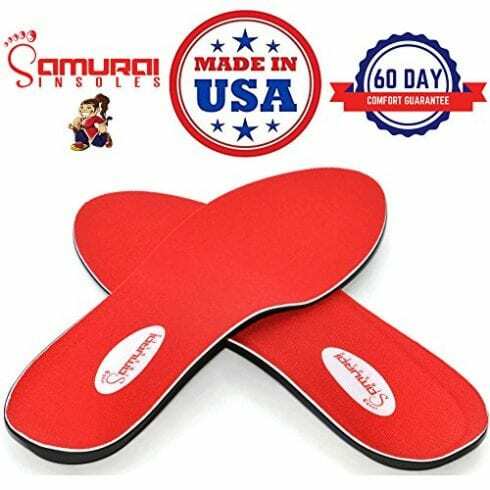 The insoles are a very important factor that you will need to have, especially if you want them to feel more comfortable than you could ever imagine. Insoles don’t just benefit you comfort wise though as they also benefit you by making your work boots fit a lot better than they may have done before. One way they can do this is for instance if your work shoes are a little too big then they can help stop them from feeling like this, as they pad them out more. View the Best Insoles For Work Boots, Below. How to Remove Non-Removable Insoles From Work Boots? How Often to Change Insoles in Work Boots? How to Clean Shoe Insoles? To help you find the perfect pair of shoe inserts for your work boots we’ve put together a list of all of the best ones around so you won’t have to search for ages trying to hunt the perfect pair. If you’re looking for a pair of insoles that are able to increase the health of your feet and your posture when you're wearing your work boots on a daily basis, then these are perfect. This is because they actually have maximum cushioning and they are also made from an EVA foam base, which makes them mold to your feet. Not only this, but they also have arch support which is able to increase your stability while you’re wearing your work boots. If you do tend to suffer from pain when you’re wearing boots, then these are actually able to relieve you from this too. We liked these insoles because they provide you with comfort and help your foot health when you’re wearing your work boots. Most insoles are very comfortable to wear, but these specific ones take comfort to the next level. This is because they are actually made from memory foam, so your feet can easily mold to them when you're wearing them in your work boots. If you wear your boots for a very long time, then these insoles are actually designed to benefit this, because they have a deep heel cup which helps support your feet when you’re participating in high impact activities. 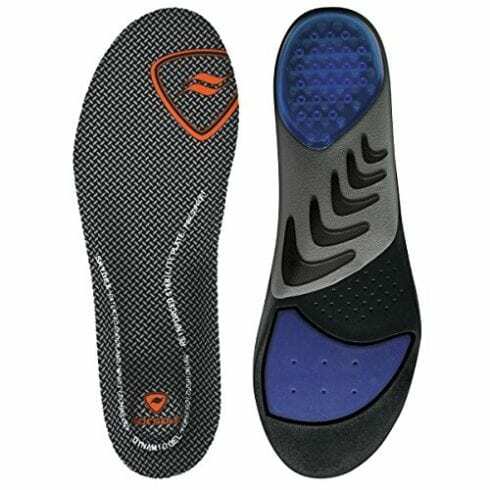 They also have a stabilizer cap at the base of the insole, which helps improve your stability. We liked this product because when you’re wearing work boots on a daily basis your feet can become stressed and sore, so they really help prevent this. If you want a pair of insoles that will last a very long time in your work boots, then these are really ideal. This is because of the type of material that they are made from, which is gel. The gel technology that is used is able to double the amount of comfort that you would get in your work boots. If you suffer from your feet always feeling uncomfortable, then you will instantly improve this with just one wear. 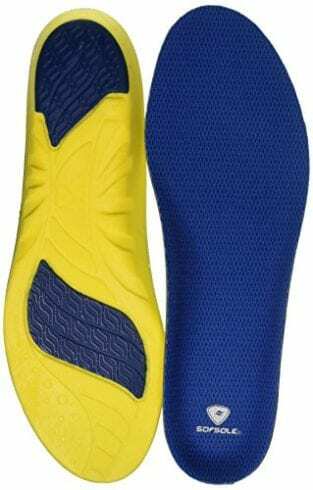 Plus, one massive bonus about this insole is that is can help prevent muscle fatigue, so if you suffer from aching legs and feet, you won't have to worry about this again. 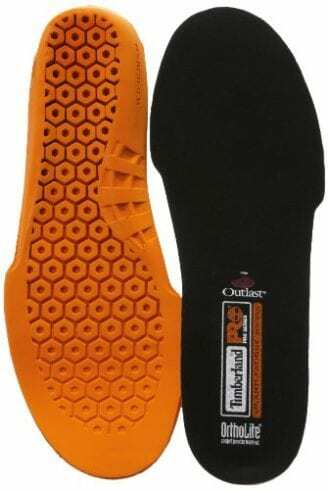 We liked these insoles because if you have to wear work boots for a long period of time, then these will really help you stay on your feet. These insoles are specifically designed to stop you from feeling any aches or pains in your work boots. They manage to do this by the way that they are designed, for instance, they have a deep heel cup, which is able to provide you with maximum support. Not only this, but they also have a natural shock absorption. They also have a high-density foam layer, and this is able to provide you with a lot of comforts, which doesn't just last for one or two wears. This is because this insole has been designed in a way that each time you wear it, it will be just as comfortable as the first time that you wore it. We liked this product because it is able to stay very comfortable no matter how many times you use it in your work boots. If you’re on the hunt for a pair of insoles that are made from the highest quality, then these will be right up your street. They are a very good brand to buy from that always provides you with the most comfort that you desire. They have anti-fatigue technology to stop your feet from feeling tired when you've been in work boots all day long. They are made from inverted cone foam, which absorbs any shocks, and it will actually return energy to your feet with each step that you take. You can also wear these anywhere you go, as they are suitable for other shoes as well as work boots. 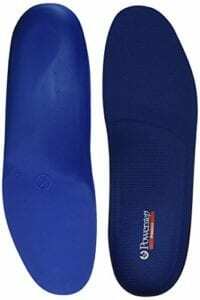 We liked these insoles because they are also able to absorb any shocks that your feet may face on a daily basis. These insoles are 100% orthotic and have been specifically designed by specialists to improve your foot health when you wear your work boots on a day-to-day basis. You can wear these if you're walking, running, cross training or you just want to use them casually. They are also very lightweight so you won't feel like there's anything additional in your work boots. Plus, they have gel pads on the heel and the forefoot of the insole, which provides you with comfort and extra stability. You can also get them to fit your size perfectly, as you can trim the insole down. We liked this product because they are so light to wear, which doesn’t make them feel bulky or heavy in your shoes at all. If you happen to suffer from flat arches, then this can become quite painful when you are wearing work boots or any other types of shoes. However, these insoles are able to change this for you, this is because they actually include an arch to help support your arch. Therefore, it can instantly fix any foot pains that you may be suffering from, plus, if you happen to suffer from your feet always feeling tired, then these can prevent this too. 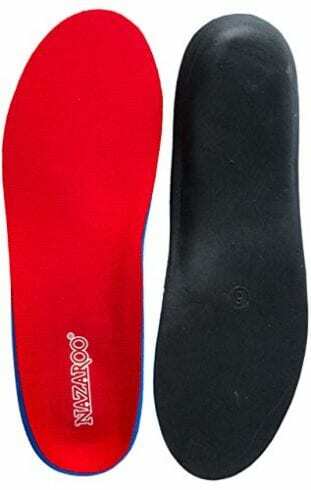 Another positive about these insoles is that they're suitable for any type of footwear, so you can even move them into whatever shoes you desire to wear. We liked these insoles because they can easily adapt to fit any type of shoe and size of shoe so you can wear them everywhere. These insoles will work on your feet in the gentlest way possible, this is because they are designed to gently alleviate heel pain, arch pain and any other pain in your feet that you may suffer from. 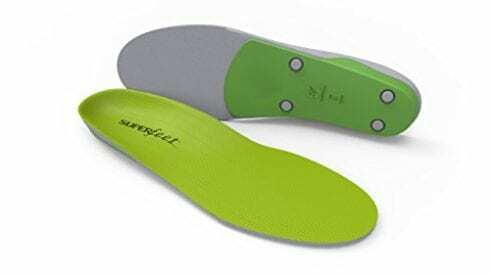 These insoles are actually made from top quality materials; for instance, they are made from EVA foam. This is also very long-lasting so you won't have to worry about buying a new pair of insoles for a very long time. They can be used on men's and women's shoes, and any type of shoe as well. Therefore if you want to use them on another shoe other than work boots, then you can do this. We liked this product because they can easily help prevent and cure any pains that you may be suffering from on your feet. If you’re looking for a pair of insoles that are very good for their price, then these are for you. They are specially designed for low arches and if you suffer from flat feet as well, as they have a raised arch, which can help support yours and stop you from feeling any pain from it. They can be used for multiple purposes, which include running, walking and even cross training. They can also absorb any shocks that may affect your feet, they do this because they have SKYDEX air bubbles in the heel of the insole. We liked these insoles because they also absorb any moisture and keep your feet very cool when you’re wearing them. 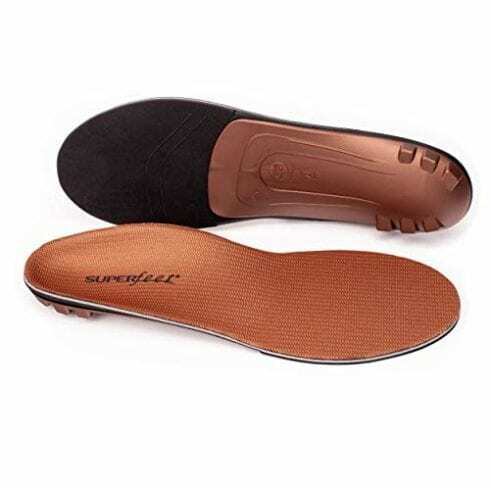 These insoles actually come with a shock absorber that is prolonged, so it can last you a very long time and will always work in the same condition. They can also reduce any stress that your feet may face, plus, they can stop your knees from feeling stressed as well. They have a heel cup, which will give you additional support and it will also stabilize you too. Not only this, but it will reduce the amount of odor that comes from your shoes and feet because it has a temper weave top layer fabric that is able to reduce any moisture. We liked this product because they can actually benefit your knees as well as your feet when you’re wearing them. Choosing an insole can be quite a tricky decision, and there is a whole load of factors that you need to look out for before you do decide which ones to purchase. Therefore we’ve put together some of these things that you need to check before you do purchase any. What the insole is made from is a very important factor because it will instantly tell you how comfortable they are. The type of insoles that are the most comfortable and supportive tend to be made from EVA foam, memory foam or something similar. This is because they are able to shape to the exact size of your feet. 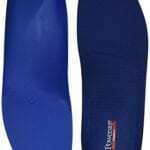 One thing that you will want your insole to have is arch support, and you will need this if you have quite a low arch or a flat foot because it will help stop and prevent any pain that you may be facing from it. This is because it is able to support your arch and keep it in the correct position that it should be in. Not only this, but it will also train and help your foot to go back into the correct arch position that it should be in if you do wear them on a daily basis, which will have great benefits for your foot health. If your feet are quite painful to walk on after having a long day all the time, then this can become quite a problem for you, especially if you have to wear work boots all the time. Depending on your job your feet may be at risk of feeling quite a few shocks throughout the day from various things. If you do suffer from quite painful feet, then you won’t want anything else to affect them, which is why it’s important that you should consider purchasing a pair of insoles that do have a shock absorber. This is because it will reduce any impacts that your feet may face when you’re working. Therefore, it will create a lot less pain for you. Your work boots may already come with specific insoles, which can be great if you don’t need to change them for specific reasons, but it can be a bit of a nightmare if you have to change your insoles, but you still want to wear your work boots. You may wonder how on earth can you remove a non-removable insole from a work boot, but you’d be surprised at how easy it can actually be done. There are quite a few different methods that you can use; however, we have found that using a hairdryer to remove them works the best. This is because when you’re blowing the hot air onto the insole, it is actually able to melt the glue that keeps the insole stuck down. You may have to apply the hot air for quite some time, but it will definitely get there in the end. When you’ve got the hair dryer on it, you will need to keep turning it off and check to see if you can remove a little bit of the insole. Once you remove part of it keep applying the heat and repeating the process until you can fully remove it. Once you have removed it, you will then need to stick on the insole you want to use by using a very strong type of glue. With this method, it’s important that you never leave the hairdryer unattended because of fire risks. This all depends on how often you wear your work boots with an insole in; because the more frequently you wear them, the more frequently you will have to change them. The reason why you will have to replace them is that you don’t want them to stop being as efficient and them not work to the maximum standard that they can. Not only this, but after wearing them for a while they may start to create bad odors, and this is something you really don’t want to happen either. Therefore it’s best to just change them. Therefore, if you do wear insoles in your work boots on a daily basis, then you should probably change them after you have worn them for around three to six months. However, if you don’t wear your work boots as often, then you should probably change them between six and nine months of wearing them. Not only this but if you do wear them for a longer period of time than what is recommended, then it could cause you to have problems like athletes feet. If you have noticed that your insoles are looking a bit tatty or they don’t have a great smell coming from them then you should give them a quick wash. You can wash most shoe insoles, but it’s always important to check what the manufacturer says, because you may not be able to wash some of them. 1. First of all, you will need to get a bowl prepared with warm soapy water. 2. You can either use soap or liquid detergent to clean them. 3. Place the insole into the bowl for around five minutes to let it soak. 4. Then get a brush and start gently brushing the insole while it’s in the water. 5. Once you have done this, you will then need to empty the bowl of soapy water down the sink and then refill it with just warm water. 6. Then place the insoles into the clean water and start to rinse them. 7. Make sure there is no soap left on the insoles and then leave them to dry. 8. The best method to get them to dry is to leave them on a towel overnight. 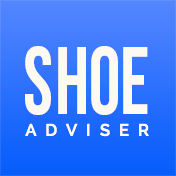 There are a lot of insoles all over the internet, and they will be sold in many shoe shops across the United States as well. It’s important that you do purchase the correct insole for your work boot because you don’t want them to be not suitable for your daily needs. Insoles have a lot of great benefits, which include preventing any more pain in your feet to preventing foot fatigue. Not only this, but they can also have longer health benefits as well, for instance, they can help increase your posture and they can also benefit your muscles too. However, it’s important that you purchase the correct insole for your feet and that they do fit you correctly because you don’t want them to accidentally cause you more problems than those you already have. If you want your insole to not create any bad odors, then it’s important to try and wash them at least every couple of weeks. Insoles have a lot of benefits for your health and they can also help plantar fasciitis as well as abnormal foot pronation. 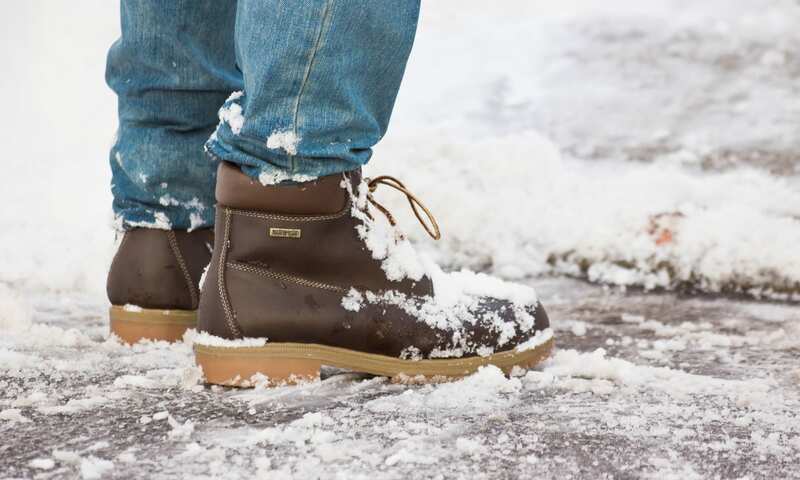 We hope you enjoyed our article on "10 Best Insoles For Work Boots in 2019", if so, please share and rate it.